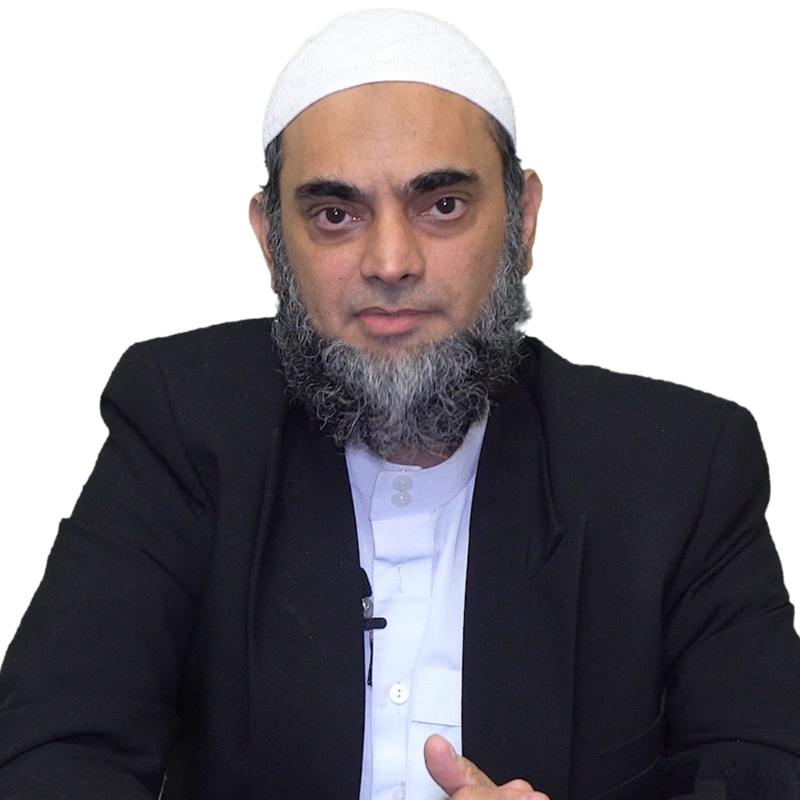 Mufti Sheikh Ammaar Saeed is a founder and president of Islamic Research Foundation New York IRFNY, AHAD TV, Shariah Council New York ISCNY and One God TV. He has completed his MA program from Islamic Online University followed by Madinah University Program and studied Shariah Law and currently in pursuant of PhD. He was born in Pakistan and raised in Dubai with a Diamond and Jewelry Business family background. He had Trademark large Diamond and Jewelry business in New York Diamond District. After listening to well renowned international scholars, his interest developed from worldly life into building Hereafter, serve humanity and attach human beings to God. He has studied Quran and Bible and has trained many students in Dawah in communication with non Muslims. He has debated many non-Muslims on the topics of Quran and Bible and is Jesus God or son of God. Hundreds of non-Muslims has reverted to Islam thru online and offline. Islamic Research Foundation New York distribute thousands of Qurans and Islamic materials every year and thru mail. After four years Islamic University program, he started involving in Fiqh issues, understanding Quran Language, Tafsir, Hadith and researched deeply into Fatwa books from different school of thoughts of four Sunnah schools and after IRFNY.com starting growing traffic and started showing first page in the search of Islamic Question and Answer, he started receiving large volume of QA worldwide that helped in going more into depth of Fiqh and apply in modern Fiqh issues. His Fatwas are independent on the bases of Quran and Sahih Hadith, without totally relying on four Sunnah schools or scholars from different Aqeedah and does not restrict himself to particular Madhhab and issues rulings independently based on research thru Quran and Sahih Hadith. He has authored several books on Islam and comparison between Islam and Christianity. Among the books that took much attention of non-Muslims was “Holy Bible The Most Dangerous Book On Earth”. The books are available online and published by Amazon and also available on Barnes And Noble Books Stores. He has issued thousands of Fatwas thru online and offline and helped hundreds of couples reconcile from domestic disputes and helped family matters as mediator worldwide. He is also an advocate in New York Family Court that helped many Muslim couples and families and resolved many cases according to Shariah in Civil Court. Double majored in Computer Science, Business Administration.